SAN JOSE — Welcome to the West Coast, everyone. I’m excited to welcome you all to sunny San Jose for our FWAA meetings and to nearby Santa Clara to witness the first College Football Playoff national championship game that will be played in the Pacific time zone. Thank you all for coming West, to the land both touched and built by the spirit of manifest destiny. That indomitable pioneering spirit is embodied by Bill Clark, the latest winner of the FWAA/Allstate Sugar Bowl Eddie Robinson Coach of the Year Award, whom we will honor on Saturday, Jan. 5 at a reception at the San Jose Marriott. What Clark has accomplished this season at the University of Alabama-Birmingham makes him one of the greatest stories in college football. The Blazers’ remarkable story has unfolded like a Hollywood movie, one I’d love to see on the big screen someday. Clark was less than a year into his tenure as head football coach at UAB in 2014 when the program was disbanded due to a lack of funding. That decision was reversed six months later, and Clark was signed to a new contract. His challenge? Build an FBS football program from scratch and get the Blazers ready to compete with a regular schedule beginning in the fall 2017. This fall, in the second season competing after the Blazers reinstated football, Clark led UAB to its first C-USA championship, its first bowl victory in school history – a 37-13 victory over Northern Illinois at the Boca Raton Bowl — and its first 11-victory season. You can’t script this stuff. So please, give UAB head coach Bill Clark a standing ovation when he’s presented with his well-deserved award. Following the Eddie Robinson Coach of the Year Reception, the FWAA Board Meeting with take place on Jan. 6, and we’ll kick off the FWAA Awards Breakfast sponsored by ESPN, on Monday, Jan. 7, before the national championship game. In addition, FWAA Past Presidents will be honored by the National Football Foundation at a private dinner presented by diDNA on Friday night. At the awards breakfast, we’ll honor the FWAA/Armed Forces Merit Award Recipient, Dr. Chris Howard, the president of Robert Morris University and the first Campbell Award recipient. The Volney Meece Scholarship winner, Mallory Rosetta of Lubbock, Texas, will be honored as well. We’ll also acknowledge the accomplishments of a couple of illustrious members as 2018 FWAA Co-Beat Writers of the Year: FWAA Past President Dennis Dodd of CBSSports.com, and Chris Vannini of The Athletic. And our prestigious Bert McGrane Award (FWAA Hall of Fame) will be presented to FWAA Past President Blair Kerkhoff of the Kansas City Star. Another longtime tradition, Mike Griffith will announce the FWAA Freshman All-America Team. In keeping with the West Coast theme, the great Dave Plati, Colorado’s longtime SID, will be honored as our Lifetime Achievement Award winner. It’s been quite an eventful year for our organization. We made a concerted effort to step up our social media efforts, partnered with the National Foundation for Infectious Diseases (NFID) to present the Outland Trophy to Alabama defensive lineman Quinnen Williams, and conceived the Shaun Alexander Freshman of the Year Award – we’ll announce the inaugural winner at the FWAA Awards Breakfast. So enjoy your trip to the Best Coast, and let’s raise a toast to the completion of another successful, thoroughly entertaining college football season! DALLAS — UAB coach Bill Clark has truly made something out of nothing. It’s a football comeback story that defies the expectations of even the most ardent of Blazers fans. 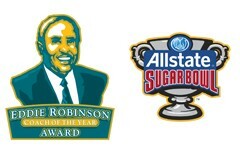 And on Thursday, the 50-year-old Clark was named the 2018 Eddie Robinson Coach of the Year recipient by the Football Writers Association of America and the Allstate Sugar Bowl. In 2015 and ’16, UAB did not have an FBS team playing at Legion Field – or anywhere. The school resumed the program for the 2017 season and posted an impressive 8-5 record that concluded with the school’s first bowl appearance at the Bahamas Bowl. Clark was named the Conference USA Coach of the Year for 2017 and quickly built on that initial success. In 2018 the Blazers are now a championship team. This season the Blazers own a 10-3 overall record and are C-USA champions after beating Middle Tennessee, 27-25, in the conference championship game, avenging their only conference loss to the Blue Raiders a week earlier. UAB faces Northern Illinois in the Cheribundi Boca Raton Bowl next Tuesday, Dec. 18. The Blazers have not lost at Legion Field since the return, and their 12-0 mark is currently the fifth-longest home win streak in the country. The 10 victories are already a school record for one of the better defensive teams in the FBS. The Blazers are 10th nationally in total defense (300.2 ypg, five yards behind Alabama), lead the nation in fourth-down defense (27.8 percent opponent conversions) and are second in third-down defense (25.0 percent conversions). Clark is the first coach from Conference USA to receive the Eddie Robinson Coach of the Year Award, but the second straight coach from a Group of Five school to claim it. Last season, UCF’s Scott Frost of the American Athletic Conference was the recipient when his team finished off an unbeaten 13-0 season. The official presentation reception will be on Saturday Jan. 5, 2019, in San Jose, Calif., where Clark will be handed the Eddie Robinson Coach of the Year bust during a reception in conjunction with the College Football Playoff National Championship Game. The other seven finalists for the award were Josh Heupel of UCF; Brian Kelly of Notre Dame; Jeff Monken of Army; Lincoln Riley of Oklahoma; Nick Saban of Alabama; Dabo Swinney of Clemson; and Jeff Tedford of Fresno State. Clark won in a vote of the entire FWAA membership. In late 2014, the UAB football program was shut down by the school due to financial issues, only to be brought back again in the middle of 2015 with the intention to resume play in 2017. Clark was in his first year as UAB head coach in 2014 when the Blazers posted a 6-6 record but did not receive a bowl invitation, then remained in limbo for several months until a $50 million fund drive by fans helped convince school officials to bring the program back. The FWAA has presented a coaching award since the 1957 season when Ohio State’s Woody Hayes was named the first recipient. Beginning in 1997, the FWAA Coach of the Year Award has been named in honor of the late Robinson, a coaching legend at Grambling State University for 55 seasons. The Eddie Robinson Award is a member of the National College Football Awards Association (NCFAA), which encompasses college football’s most prestigious awards. Founded in 1997, the NCFAA and its awards now boast over 800 recipients, dating to 1935. Visit ncfaa.org to learn more about our story. DALLAS — The 2018 Football Writers Association of America All-America Team was announced Monday, headlined by eight players from the Southeastern Conference and six from the Atlantic Coast Conference along with Heisman Trophy-winning quarterback Kyler Murray of Oklahoma. Nine of the 10 Football Bowl Subdivision conferences plus two independents are represented on the first and second teams that also include seven repeat All-Americans. The exclusive announcement came on “Off Campus with Mark Packer” on ESPNU Radio on SiriusXM. Alabama, the top-ranked team in the upcoming College Football Playoff, leads the field with four selections, two on the first team and two on the second team, while Oklahoma, Clemson and LSU each placed three on the first- and/or second-teams. Alabama leads four SEC programs with at least two members on the All-America team with defensive lineman and Outland Trophy winner Quinnen Williams and offensive lineman Jonah Williams on the first team to go with quarterback Tua Tagovailoa and defensive back Deionte Thompson on the second team. Oklahoma boasts Murray and offensive lineman Ben Powers on the first team and wide receiver Marquise Brown on the second, and Clemson has a pair of two-time All-Americans on the first team in offensive lineman Mitch Hyatt (2nd team in 2017) and defensive lineman Christian Wilkins (1st team in 2016), along with running back Travis Etienne on the second. The first team includes a mix of nine seniors or graduate students, 10 juniors, six sophomores and two freshmen. The conference breakdown on the first team is: SEC (8), ACC (6), Big Ten (4), Big 12 (3), American Athletic (2), Independents (2), Pac-12 (1) and Mountain West (1). There are four repeat members on the 27-player first team but overall 47 of the 54 honored players are first-time selections to the FWAA All-America team. There are seven repeat members on the full team, and the SEC leads all conferences in members of the full team with 15, well ahead of the ACC’s 10. Ed Oliver of Houston, now a three-time FWAA All-American (1st team in 2017 and 2nd team in 2016) on the defensive line, highlights the first-team defense along with this year’s Bronko Nagurski Trophy winner, Josh Allen of Kentucky, which the FWAA honored last week as the nation’s most outstanding defensive player. LSU placed two members into the first-team secondary with Grant Delpit and Greedy Williams, and the Tigers’ third All-American is repeat member Devin White (2nd team in 2017) on the second team. Washington linebacker Ben Burr-Kirven, the nation’s tackles leader, is also on the first-team defense along with one of the top sack leaders, Montez Sweat of Mississippi State. Devin Bush of Michigan is the other first-team linebacker, and Boston College and Notre Dame players complete the first-team secondary with Hamp Cheevers and Julian Love, respectively. Two running backs who have topped 1,900 yards this season fill out the first-team backfield in two-time All-American Jonathan Taylor of Wisconsin (2nd team in 2017) and Memphis running back Darrell Henderson. One of the men who helped clear Taylor’s path, Wisconsin offensive lineman Michael Deiter, is also on the first team, as is center Garrett Bradbury of N.C. State. The nation’s two receiving yardage leaders, Andy Isabella of Massachusetts and Antoine Wesley of Texas Tech, are on the first team along with tight end target Jace Sternberger of Texas A&M. The Aggies also placed punter Braden Mann on the first team. The first-team specialists include Mann, the nation’s punting-average leader, along with the two freshmen on the first team, Syracuse kicker Andre Szmyt and Purdue all-purpose player Rondale Moore, who leads the nation in receptions in addition to being one of the country’s most dangerous return men. Utah State’s Savon Scarver earned the first-team spot as kick returner, and Wake Forest’s Greg Dortch is the first-team punt returner. Also among the specialists is Matt Gay of Utah, a repeat member who earned second-team mention this season after first-team accolades in 2017. Utah is one of 10 schools with at least two members on the full team and placed linebacker Chase Hansen on the second team. Boston College also placed a second member among the specialists with Michael Walker as the second-team punt returner. Notre Dame center Sam Mustipher gives the Fighting Irish a second-team All-American and Ole Miss has a pair of second-team members in wide receiver A.J. Brown and offensive lineman Greg Little. Northern Illinois defensive lineman Sutton Smith is one of the seven repeat All-Americans as a second-team defensive lineman (1st team in 2017) and the Mid-American Conference’s lone member on the full team. Smith is tied for the national sack lead with 15.0 on the season along with Louisiana Tech defensive lineman Jaylon Ferguson, who is also on the second team and is Conference USA’s lone selection. RB Darrell Henderson, Memphis 5-9 205 Jr. Batesville, Miss. RB Jonathan Taylor, Wisconsin 5-11 221 So. Salem, N.J.
WR Antoine Wesley, Texas Tech 6-5 200 Jr. Las Vegas, Nev.
TE Jace Sternberger, Texas A&M 6-4 250 Jr. Kingfisher, Okla.
OL Mitch Hyatt, Clemson 6-5 310 Sr. Suwanee, Ga.
OL Ben Powers, Oklahoma 6-4 313 Sr. Wichita, Kan.
OL Jonah Williams, Alabama 6-5 301 Jr. Folsom, Calif.
C Garrett Bradbury, N.C. State 6-3 300 Gr. Charlotte, N.C.
DL Montez Sweat, Mississippi State 6-6 245 Sr. Stone Mountain, Ga.
DL Christian Wilkins, Clemson 6-4 315 Gr. Springfield, Mass. DL Quinnen Williams, Alabama 6-4 295 So. Birmingham, Ala.
LB Josh Allen, Kentucky 6-5 260 Sr. Montclair, N.J.
LB Ben Burr-Kirven, Washington 6-0 221 Sr. Menlo Park, Calif.
LB Devin Bush, Michigan 5-11 233 Jr. Pembroke Pines, Fla.
DB Hamp Cheevers, Boston College 5-10 180 Jr. Trenton, Fla.
DB Julian Love, Notre Dame 5-11 193 Jr. Westchester, Ill.
DB Greedy Williams, LSU 6-3 184 So. Shreveport, La. K Andre Szmyt, Syracuse 6-1 195 Fr. Vernon Hills, Ill.
KR Savon Scarver, Utah State 5-11 185 So. Las Vegas, Nev.
PR Greg Dortch, Wake Forest 5-9 170 So. Richmond, Va.
AP Rondale Moore, Purdue 5-9 175 Fr. New Albany, Ind. Offense: QB Tua Tagovailoa, Alabama; RB Eno Benjamin, Arizona State; RB Travis Etienne, Clemson; WR A.J. Brown, Ole Miss; WR Marquise Brown, Oklahoma; TE T.J. Hockenson, Iowa; OL Yodny Cajuste, West Virginia; OL Greg Little, Ole Miss; OL Dalton Risner, Kansas State; OL Calvin Throckmorton, Oregon; C Sam Mustipher, Notre Dame. Defense: DL Jaylon Ferguson, Louisiana Tech; DL Sutton Smith, NIU; DL Kenny Willekes, Michigan State; DL Gerald Willis, Miami; LB Chase Hansen, Utah; LB Tre Watson, Maryland; LB Devin White, LSU; DB Paulson Adebo, Stanford; DB Deandre Baker, Georgia; DB Bryce Hall, Virginia; DB Deionte Thompson, Alabama. Specialists: K Matt Gay, Utah; P James Smith, Cincinnati; KR Deebo Samuel, South Carolina; PR Michael Walker, Boston College; AP Pooka Williams, Kansas. The FWAA’s All-America Committee selected this 75th annual team based on nominations from the entire membership. This is just the sixth season in the modern era (post-1950) that the FWAA has named a second team. The FWAA also selected an allpurpose player for a second time, which made for a 54-man full team. Since 1945, the FWAA All-America Team has been among the five teams used to formulate the NCAA’s annual consensus AllAmerica team, which will be announced later this week. Since the 2002 season, the American Football Coaches Association (AFCA), The Associated Press, The Sporting News and the Walter Camp Football Foundation have joined the FWAA as the five designated selectors by the NCAA. The FWAA All-America Team was first selected in 1944, three years after the organization was formed. The FWAA’s inaugural team included Army’s Heisman Trophy tandem of Doc Blanchard and Glenn Davis and Georgia Tech’s Frank Broyles, who later became Arkansas’ head football coach and athletic director. Over the years, the FWAA team has highlighted all the game’s great players in several media forums. From 1946-70, LOOK magazine published the FWAA team and brought players and selected writers to New York City for a celebration. During that 25-year period, the FWAA team was introduced on national television shows by such noted hosts as Bob Hope, Steve Allen and Perry Como. After LOOK folded, the FWAA started a long association with NCAA Films (later known as NCAA Productions), which produced a 30-minute television program. The team was part of ABC-TV’s 1981 College Football Series. From 1983-90, the team was introduced on either ABC or ESPN. In 2002 and ‘03, the All-America team was honored with a banquet at the Citrus Bowl. The same bowl also was a sponsor when the team was featured on ABC and ESPN from different locations on Disney properties from 2004-07. From 2008-10, the team had been the subject of a one-hour ESPN special. For seven decades the FWAA has selected an All-America team with the help of its members and an All-America Committee, which represents all the regions in the country. From that All-America team, the FWAA also selects the Outland Trophy winner (best interior lineman) and the Bronko Nagurski Trophy winner (best defensive player). Some of the true greats of the writing profession have helped to select this team over the years: Grantland Rice, Bert McGrane, Blackie Sherrod, Furman Bisher, Pat Harmon, Fred Russell, Edwin Pope, Murray Olderman, Paul Zimmerman – and the list goes on and on. The FWAA All-America team is steeped in tradition and history and is selected by a writers’ group with those same attributes. The Football Writers Association of America, a non-profit organization founded in 1941, consists of more than 1,400 men and women who cover college football. The membership includes journalists, broadcasters and publicists, as well as key executives in all the areas that involve the game. The FWAA works to govern areas that include game day operations, major awards and its annual All-America team. For more information about the FWAA and its award programs, contact Steve Richardson at tiger@fwaa.com or call 214-870-6516. ATLANTA — Alabama nose guard Quinnen Williams was named the recipient of the 73rd Outland Trophy on Thursday night during The Home Depot College Football Awards from the College Football Hall of Fame. Quinnen Williams is the first of Alabama’s now five Outland Trophy winners to play on defense. The other four Crimson Tide winners – Chris Samuels (1999), Andre Smith (2008), Barrett Jones (2011) and most recently Cam Robinson (2016) were all offensive tackles. Williams was selected from a list of three finalists that included Alabama teammate Jonah Williams, an offensive tackle, and Clemson defensive tackle Christian Wilkins. He is just the second sophomore to win the award, following Houston’s Ed Oliver last season. The official presentation to the winner will be made at the Outland Trophy Awards Dinner produced by the Greater Omaha Sports Committee on Jan. 9, 2019. The 6-foot-4, 295-pound sophomore from Birmingham, Ala., was an unknown first-time starter when Alabama opened its season and was not mentioned on any preseason All-SEC teams by coaches or media. But Williams immediately became a dominant presence on a front line that has held its opponents to 117.0 rushing yards per game and helped the Crimson Tide’s defense rank fourth in the nation, allowing only 14.8 points per game, and ninth in the nation, giving up 295.4 yards per game. Including last week’s Southeastern Conference Championship Game, Williams leads Alabama with 18 tackles for loss and in yardage with 85 yards lost. His 8.0 sacks were second on the team but lead Alabama with minus-57 yards from those sacks. Despite being in the middle of the line, Williams is third on the team with 66 total tackles and tied for the team lead with 42 unassisted tackles. He won the SEC’s Defensive Player of the Week award three times this season, and earlier this week was one of three players to earn Alabama’s Defensive Player of the Year Award, and one of four to earn the team’s Outstanding Defensive Player based on tackles and points given by the coaches. Williams gained national attention with his play in Alabama’s keynote prime-time win Nov. 3 at LSU when he posted career-high numbers for tackles (10) and sacks (2.5) and tied his career-best in tackles for loss (3.5) that helped the Crimson Tide limit LSU to 196 yards of total offense. Williams clogs the middle and allows those around him to create havoc – Alabama has had at least 10 tackles for loss in five of 13 games and the Crimson Tide’s 42 sacks are No. 5 nationally. Williams had two tackles for loss (for minus-12 yards) and a sack last week as Alabama defeated Georgia 35-28 in the SEC Championship Game. University of Wisconsin All-American Joe Thomas, the 2006 Outland Trophy winner who retired earlier this year after a stellar 11-year career with NFL’s Cleveland Browns, has served as the Outland Trophy #FightFlu ambassador on behalf of NFID. Thomas has been an avid supporter of annual flu vaccination and is making media appearances on behalf of the #FightFlu public awareness campaign to remind everyone 6 months and older to get an annual flu vaccine. Boston College nose guard Mike Ruth, the 1985 Outland Trophy recipient, will receive his long-awaited Outland Trophy on Wednesday Jan. 9, 2019 at the Greater Omaha Sports Committee’s Awards Banquet sponsored by Werner Enterprises. The 73rd Annual Outland Trophy, presented by the National Foundation for Infectious Diseases (NFID), also will be handed off to the yet-to-be-determined 2018 recipient during the banquet at the DoubleTree Omaha Downtown. The winner of the Outland Trophy, as determined by the Football Writers Association of America (FWAA), will be announced on Thursday Dec. 6 on The Home Depot College Football Awards on ESPN from the College Football Hall of Fame in Atlanta. The three finalists for the 2018 Outland Trophy are, in alphabetical order: Clemson DT Christian Wilkins, Alabama OT Jonah Williams and Alabama NG Quinnen Williams. Ruth, 54, will receive his trophy as the top interior lineman in college football during the 1985 season from the Rotary Club of Omaha-Downtown. Since the late 1990s, Downtown Rotary has graciously presented a former Outland Trophy recipient his actual trophy. The FWAA did not give out an Outland Trophy until 1988, with previous winners receiving, in many cases, only a plaque. A consensus first-team All-America as a senior captain, Ruth led the Eagles to three bowl games, including a victory in the 1985 Cotton Bowl against Houston. Boston College finished the 1984 season ranked No 5 nationally. A three-time All-East and All-ECAC selection, Ruth led the Eagles to back-to-back Lambert Trophies as the best FBS team in the East in 1983 and 1984. Ruth amassed 344 career tackles, 29 sacks, seven forced fumbles and three fumble recoveries during his career. In 1986, he received Boston College’s highest athletic honor when he was named Eagle of the Year. A teammate of College Football Hall of Famer Doug Flutie, Ruth is a member of Boston College’s Varsity Club Hall of Fame. His No. 68 jersey was retired by Boston College. 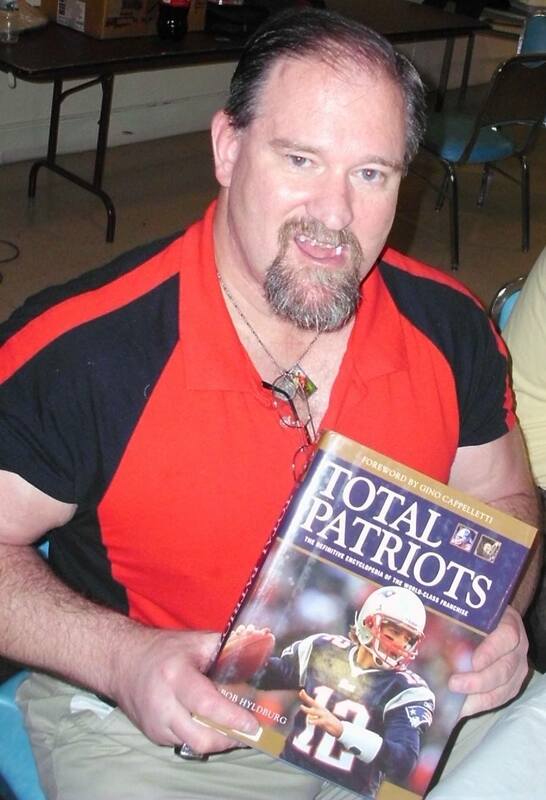 Ruth was drafted in the second round of the 1986 NFL Draft by the New England Patriots and spent two seasons with the franchise. He also played two seasons with the Barcelona Dragons in the World League of American Football. He was inducted into the College Football Hall of Fame in 2017. After his football career, Ruth worked in insurance for more than a decade and earned a master’s in education from Harvard University. He has served as president of Mike Ruth Consulting since 2003. He currently teaches and coaches at Everett High School in Massachusetts. Besides the two Outland Trophies, the Tom Osborne Legacy Award will be presented to current Ohio University Coach Frank Solich, who is a former player, assistant coach and head coach for Nebraska. The individual recipients of three 2018 Nebraska football awards will also be recognized. 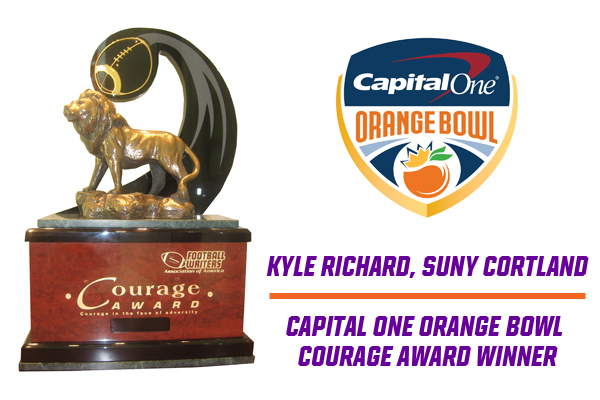 The Outland Trophy is a member of the National College Football Awards Association (NCFAA), which encompasses the most prestigious awards in college football. Founded in 1997, the NCFAA and its awards now boast over 800 recipients, dating to 1935. Visit ncfaa.org to learn more about our story. Founded in 1941, the non-profit Football Writers Association of America (FWAA) consists of 1,300 members, including journalists, broadcasters, publicists and key executives in all areas of college football. 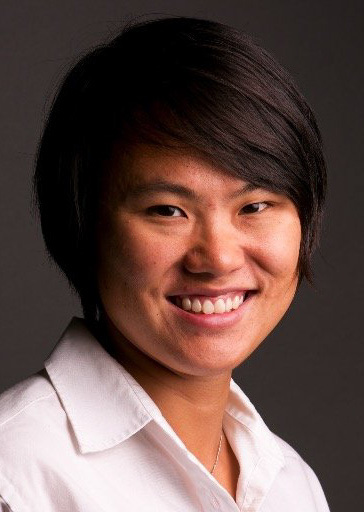 Led by current President Stefanie Loh of the Seattle Times, longtime Executive Director Steve Richardson and a board of veteran journalists, the association continues to grow and work to help college football prosper at all levels. Visit footballwriters.com for more information about the FWAA and its award programs. Founded in 1973, the National Foundation for Infectious Diseases (NFID) is a non-profit, tax-exempt 501(c)(3) organization dedicated to educating the public and healthcare professionals about the burden, causes, prevention and treatment of infectious diseases across the lifespan. Visit nfid.org for more information. The NFID has partnered with the FWAA and Outland Trophy on behalf of the #FightFlu public awareness campaign to remind everyone 6 months and older to get an annual flu vaccine. Founded in 1977, the GOSC is a 501(c)3 non-profit organization, consisting of more than 1,100 men and women from the City of Omaha, the State of Nebraska, and others. The membership serves to communicate, develop, initiate and promote sports activities in the Greater Omaha sports area. In addition to the Outland Trophy Award Dinner, the Greater Omaha Sports Committee promotes high school, college, and professional sports in the Greater Omaha area and the Midwest. Founded in 1956, Werner Enterprises is a premier transportation and logistics company, with coverage throughout the world. Werner maintains its global headquarters in Omaha and is among the five largest truckload carriers in the United States, with a diversified portfolio of transportation services that includes dedicated; medium-to-long-haul, regional and expedited van; and temperature-controlled. The Werner Logistics portfolio includes truck brokerage, freight management, intermodal, international and final mile services. International services are provided through Werner’s domestic and global subsidiary companies and include ocean, air and ground transportation; freight forwarding; and customs brokerage. CLICK HERE for the latest update on preparations for the CFP national championship game and related events.